Unicorn. Single-horned mythical creature. Or a private company valued at over US$1 billion. 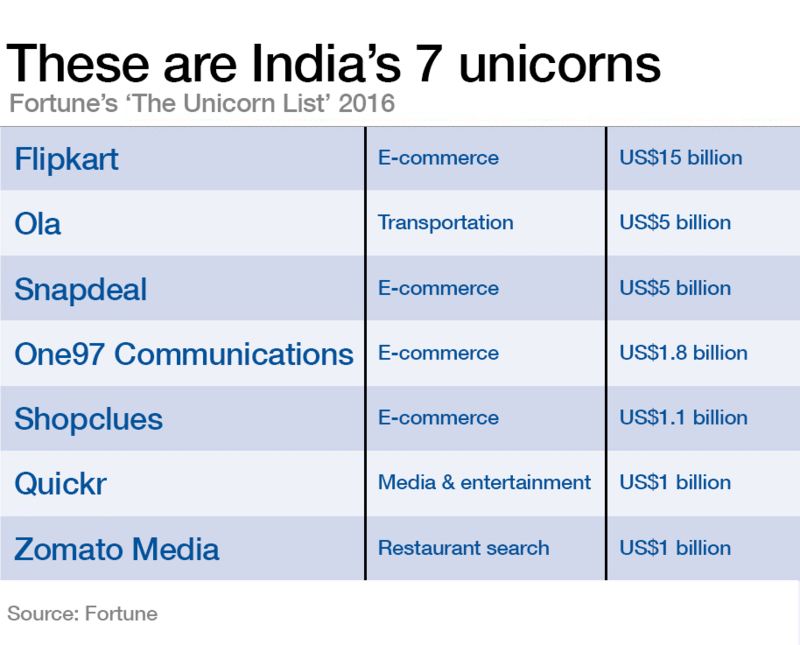 Seven companies on Fortune’s 2016 Unicorn List are in India. That’s more than South Korea, the Netherlands and Canada combined. The biggest is Flipkart , an e-commerce firm based in Bengaluru (also called Bangalore). Its valuation is nearly three times higher than second-placed Ola. The majority of Indian unicorns are focused on e-commerce. This latter is an area of great potential in India. Underpinned by an enormous and increasingly well-educated youth population, e-commerce is set to drive consumer spending, according to a Goldman Sachs report . The Indian government’s Start-up India initiative aims to encourage entrepreneurship and innovation, with the goal that “India must become a nation of job creators instead of a nation of job seekers”. A strong demographic dividend, entrepreneurial ecosystem and vast potential domestic market are all vital factors in India’s potential. And healthy economic growth is predicted. The World Economic Forum’s India Economic Summit 2016 will take place from 6-7 October.